It's been a profitable year for Microsoft, but the 360 is flagging. Those of you clinging to the PS3 in the great waste of time and energy that is the 7th generation console war may begin the celebrations; it's been a tough three months for the Xbox 360. Microsoft's quarterly revenue for the 360 platform is down 29 percent from the same period last year, according to a recently released fiscal report. While Microsoft tallied some US$21.46 billion in revenue during the second quarter of its 2013 fiscal year (that's October 1st, 2012, to December 31st, 2012, for those of you who don't live in bizarro finance land) the company's Entertainment and Devices Division - which covers the 360 platform, Windows Phone and Skype amongst others - recorded an 11% decrease in revenue. All is not lost, however. The company did report a substantial amount of deferred revenue; IE: money acquired for a product not yet delivered. Apparently "sales of video games with the right to receive specified software upgrades/enhancements," have made Microsoft some $380 million. If you were to add that revenue to the Entertainment and Devices division earnings, the adjusted revenue would bring the decrease down to a more palatable 2 percent. The 29% decrease, despite being offset by the launch of the Windows 8 phone in October, equates into $1.1 billion dollars of lost revenue. 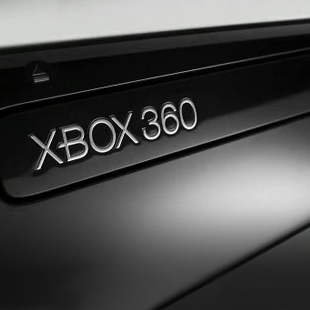 Microsoft is pinning the decreased revenue on the slowing sales of the 360 console. The company shipped only 5.9 million units in the second quarter, down from 8.2 million in the same quarter of last year. Research and development costs also shot up, increasing by $98 million as the company hires more staff. No prizes for guessing where all that money and manpower is going.